Can It Be? Our Baby Turns 18! It happens every year on the eve of the birthday of our youngest son. I lay in bed tonight while sweet memories flood my mind. I remember like it was yesterday. I was in bed unable to sleep. It was 9 days after my due date. We were scheduled to be at St. David’s hospital the morning of October 9, 1998 to be induced. Tossing and turning, partly because of the sweet watermelon of a baby in my belly and partly because of the great anticipation in meeting our sweet boy I managed to catch a few winks. Five o’clock a.m. I showered and was getting dressed when I realize I am becoming increasingly uncomfortable, followed by painful discomfort. Then the light bulb went off. “I know what this is.” I thought. “He’s coming on his own.” I was so excited. I knew now we would have him here sooner rather than later. I don’t recall what time we actually arrived at St. David’s Hospital but the staff knew my history and knew it wouldn’t be long. I had a history with our first two of transitioning from 4-10 cm in 20-30 minutes. Oh boy, did things come on fast. Eventually, each new contraction came on the heels of the last contraction. Piggybacking one after the other I could hardly catch my breath. Fast forward to 9:40a.m. and sweet Travis Michael LaRoche came into this world weighing 9 pounds, 2 ounces. YES, 9 pounds. Precious, lots of hair and such a big little man already. 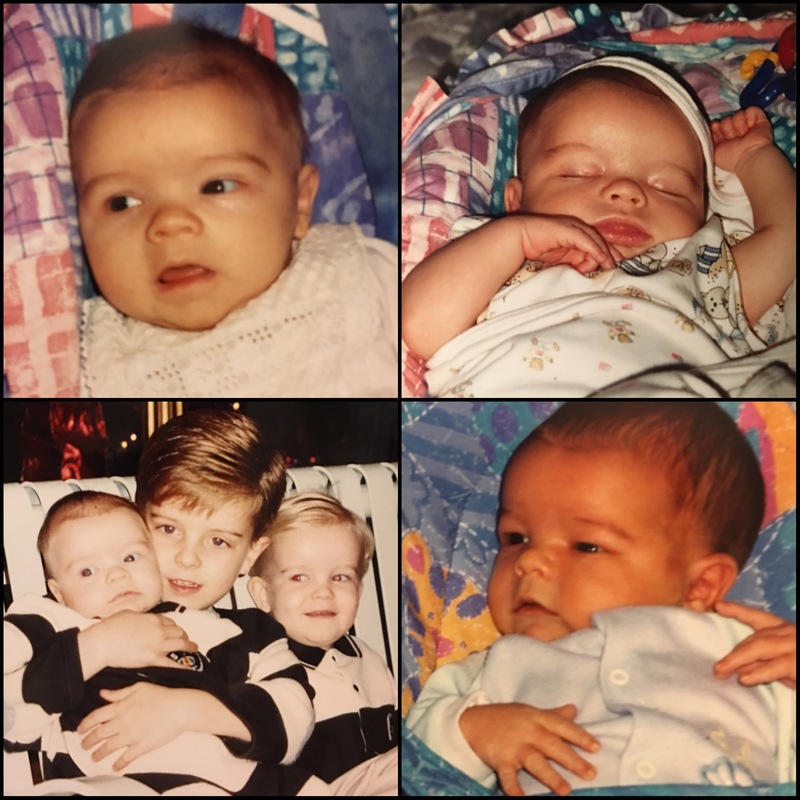 Our beautiful three boys, Tyler, Kyle, and Travis LaRoche have stolen our hearts. Bonded forever, loving brothers and great friends they’ll be. Each of them are unique and different. Each strong, confident and loving. We are truly blessed. Our family is complete. Travis, you are one very special young man. 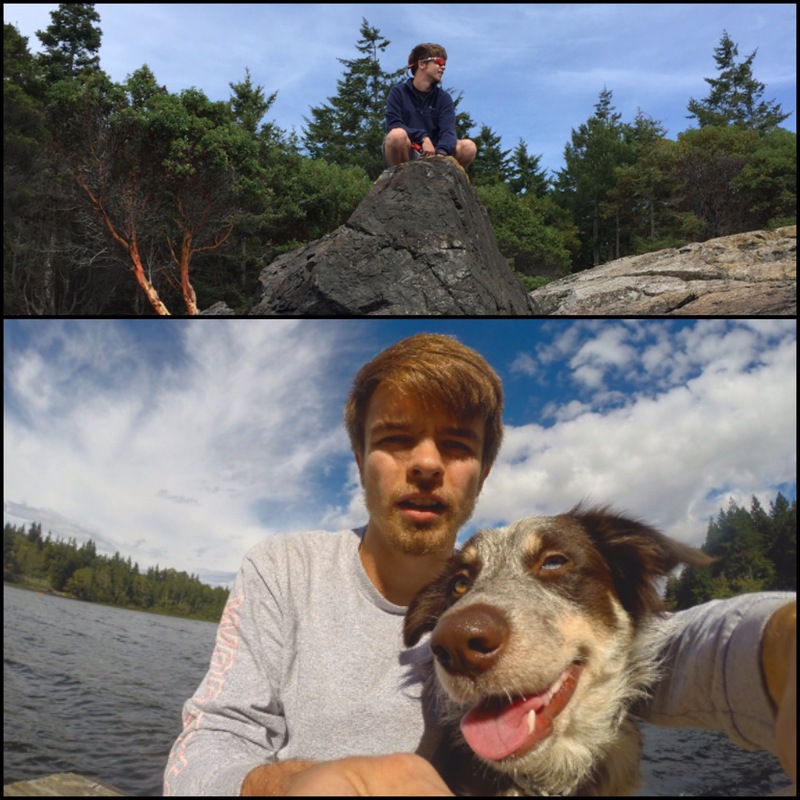 Adventurous, loving, creative, wild at heart, a great communicator and lover of the outdoors. I am blessed to be your momma. I am sure I can speak for your dad and agree he’s blessed to be your dad. We see your heart for others and know God has really big plans for you. You are mature and wise beyond your years and we love you so very much. Happy 18th Birthday sweet boy!